Location and Nature of Arab Tribes (Ar-Raheeq Al-Makhtum). Beyond a shadow of the doubt, the biography of Prophet Muhammad manifestly represents an exhaustive embodiment of the sublime Divine Message that he communicated in order to deliver the human race from the swamp of darkness and polytheism to the paradise of light and monotheism. An image, authentic as well as comprehensive, of this Message, is therefore only attainable through careful study and profound analysis of both backgrounds and issues of such a biography. In view of this, a whole chapter is here introduced about the nature and development of Arab tribes prior to Islam as well as the circumstantial environment that enwrapped the Prophet’s mission. Linguistically, the word “Arab” means deserts and waste barren land well-nigh waterless and treeless. Ever since the dawn of history, the Arabian Peninsula and its people have been called as such. The Arabian Peninsula is enclosed in the west by the Red Sea and Sinai, in the east by the Arabian Gulf, in the south by the Arabian Sea, which is an extension of the Indian Ocean, and in the north by old Syria and part of Iraq. The area is estimated between a million and a million and a quarter square miles. Thanks to its geographical position, the peninsula has always maintained great importance. Considering its internal setting, it is mostly deserts and sandy places, which has rendered it inaccessible to foreigners and invaders, and allowed its people complete liberty and independence through the ages, despite the presence of two neighboring great empires. It’s an external setting, on the other hand, caused it to be the center of the old world and provided it with sea and land links with most nations at the time. Thanks to this strategic position the Arabian Peninsula had become the center for trade, culture, religion, and art. Perishing Arabs: The ancient Arabs, of whose history little is known, and of whom were ‘Ad, Thamûd, Tasam, Jadis, Emlaq, and others. Pure Arabs: Who originated from the progeny of Ya‘rub bin Yashjub bin Qahtan. They were also called Qahtanian Arabs. Arabized Arabs: Who originated from the progeny of Ishmael. They were also called ‘Adnanian Arabs. Himyar: The most famous of whose septs were Zaid Al-Jamhur, Quda‘a, and Sakasic. Kahlan: The most famous of whose septs were Hamdan, Anmar, Tai’, Mudhhij, Kinda, Lakhm, Judham, Azd, Aws, Khazraj and the descendants of Jafna — the kings of old Syria. Kahlan septs emigrated from Yemen to dwell in the different parts of the Arabian Peninsula prior to the Great Flood (Sail Al-‘Arim of Ma’rib Dam), due to the failure of trade under the Roman pressure and domain on both sea and land trade routes following the Roman occupation of Egypt and Syria. Naturally enough, the competition between Kahlan and Himyar led to the evacuation of the first and the settlement of the second in Yemen. Tha‘labah bin ‘Amr left his tribe Al-Azd for Hijaz and dwelt between Tha‘labiyah and Dhi Qar. When he gained strength, he headed for Madinah where he stayed. Of his seed are Aws and Khazraj, sons of Haritha bin Tha‘labah. Haritha bin ‘Amr, known as Khuza‘a, wandered with his folks in Hijaz until they came to Mar Az-Zahran. Later, they conquered the Haram and settled in Makkah after having driven away its people, the tribe of Jurhum. ‘Imran bin ‘Amr and his folks went to ‘Oman where they established the tribe of Azd whose children inhabited Tihama and were known as Azd-of-Shanu’a. Jafna bin ‘Amr and his family, headed for Syria where he settled and initiated the kingdom of Ghassan who was so named after a spring of water, in Hijaz, where they stopped on their way to Syria. Lakhm and Judham: Of whom was Nasr bin Rabi‘a, father of Manadhira, Kings of Heerah. Banu Tai’: Who also emigrated northwards to settle by the so-called Aja and Salma Mountains which were consequently named as Tai’ Mountains. Kinda: Who dwelt in Bahrain but were expelled to Hadramout and Najd where they instituted a powerful government but not for long, for the whole tribe soon faded away. Another tribe of Himyar, known as Quda‘a, also left Yemen and dwelt in Samawa semidesert on the borders of Iraq. The Arabized Arabs go back in ancestry to their great grandfather Abraham from a town called “Ar” near Kufa on the west bank of the Euphrates in Iraq. Excavations brought to light great details of the town, Abraham’s family, and the prevalent religions and social circumstances. It is known that Abraham left Ar for Harran and then for Palestine, which he made headquarters for his Message. He wandered all over the area. When he went to Egypt, the Pharaoh tried to do evil to his wife Sarah, but Allâh saved her and the Pharaoh’s wicked scheme recoiled on him. He thus came to realize her strong attachment to Allâh, and, in acknowledgment of her grace, the Pharaoh rendered his daughter Hagar (Hajar) at Sarah’s service, but Sarah gave Hagar to Abraham as a wife. Abraham returned to Palestine where Hagar gave birth to Ishmael. Sarah became so jealous of Hagar that she forced Abraham to send Hagar and her baby away to a plantless valley on a small hill in Hijaz, by the Sacred House, exposed to the wearing of floods coming right and left. He chose for them a place under a lofty tree above Zamzam near the upper side of the Mosque in Makkah where neither people nor water was available and went back to Palestine leaving with his wife and baby a leather case with some dates and a pot of water. Not before long, they ran out of both food and water, but thanks to Allâh’s favor water gushed forth to sustain them for some time. The whole story of Zamzam spring is already known to everybody. Another Yemeni tribe – Jurhum the Second – came and lived in Makkah upon Hagar’s permission, after being said to have lived in the valleys around Makkah. It is mentioned in the Sahih Al-Bukhari that this tribe came to Makkah before Ishmael was a young man while they had passed through that valley long before this event. It is mentioned in the Genesis that Ishmael was thirteen years older than his brother Ishaq. The sequence of the story of the sacrifice of Ishmael shows that it really happened before Ishaq’s birth and that Allâh’s Promise to give Abraham another son, Ishaq, came after narration of the whole story. This story spoke of one journey – at least – before Ishmael became a young man. Al-Bukhari, on the authority of Ibn ‘Abbas, reported the other three journeys; a summary of which goes as follows: When Ishmael became a young man, he learned Arabic at the hand of the tribe of Jurhum, who loved him with great admiration and gave him one of their women as a wife, soon after his mother died. Having wanted to see his wife and son again, Abraham came to Makkah, Ishmael’s marriage, but he didn’t find him at home. He asked Ishmael’s wife about her husband and how they were doing. She complained of poverty, so he asked her to tell Ishmael to change his doorstep. Ishmael understood the message, divorced his wife and got married to the daughter of Mudad bin ‘Amr, chief of the tribe of Jurhum. Once more, Abraham came to see his son but again didn’t find him at home. He asked his new wife the same previous question, to which she thanked Allâh. Abraham asked her to tell Ishmael to keep his doorstep (i.e. to keep her as wife) and went back to Palestine. A third time, Abraham came to Makkah to find Ishmael sharpening an arrow under a lofty tree near Zamzam. The meeting, after a very long journey of separation, was very touching for a father so affectionate and a so dutiful and righteous son. This time, father and son built Al-Ka‘bah and raised its pillars, and Abraham, in compliance with Allâh’s Commandment, called unto people to make a pilgrimage to it. By the grace of Allâh, Ishmael had twelve sons from the daughter of Mudad, whose names were Nabet, Qidar, Edbael, Mebsham, Mishma’, Duma, Micha, Hudud, Yetma, Yetour, Nafis and Qidman, and who ultimately formed twelve tribes inhabiting Makkah and trading between Yemen, geographical Syria and Egypt. Later on, these tribes spread all over, and even outside, the peninsula. All their tidings went into oblivion except for the descendants of Nabet and Qidar. The Nabeteans – sons of Nabet – established a flourishing civilization in the north of Hijaz, they instituted a powerful government which spread out its domain over all neighboring tribes and made Petra their capital. Nobody dared challenge their authority until the Romans came and managed to eliminate their kingdom. After extensive research and painstaking investigation, Mr. Sulaiman An-Nadwi came to the conclusion that the Ghassanide kings, along with the Aws and Khazraj were not likely to be Qahtanians but rather Nabeteans. Descendants of Qidar, the son of Ishmael, lived long in Makkah increasing in number, of them issued ‘Adnan and son Ma‘ad, to whom ‘Adnanian Arabs traced back their ancestry. ‘Adnan is the twenty-first grandfather in the series of the Prophetic ancestry. It was said that whenever Prophet Muhammad spoke of his ancestry he would stop at ‘Adnan and say: “Genealogists tell lies” and did not go farther than him. A group of scholars, however, favored the probability of going beyond ‘Adnan attaching no significance to the aforementioned Prophetic Hadith. They went on to say that there were exactly forty fathers between ‘Adnan and Abraham. Nizar, Ma‘ad’s only son, had four sons who branched out into four great tribes; Eyad, Anmar, Rabi‘a, and Mudar. These last two sub-branched into several septs. Rabi‘a fathered Asad, ‘Anazah, ‘Abdul Qais, and Wa’il’s two sons (Bakr and Taghlib), Hanifa and many others. Mudar tribes branched out into two great divisions: Qais ‘Ailan bin Mudar and septs of Elias bin Mudar. Of Qais ‘Ailan were the Banu Saleem, Banu Hawazin, and Banu Ghatafan of whom descended ‘Abs, Zubyan, Ashja‘ and Ghani bin A‘sur. Of Elias bin Mudar were Tamim bin Murra, Hudhail bin Mudrika, Banu Asad bin Khuzaimah and septs of Kinana bin Khuzaimah, of whom came Quraish, the descendants of Fahr bin Malik bin An-Nadr bin Kinana. Quraish branched out into various tribes, the most famous of whom were Jumah, Sahm, ‘Adi, Makhzum, Tayim, Zahra and the three septs of Qusai bin Kilab: ‘Abdud-Dar bin Qusai, Asad bin ‘Abdul ‘Uzza bin Qusai and ‘Abd Manaf bin Qusai. ‘Abd Manaf branched out into four tribes: ‘Abd Shams, Nawfal, Muttalib and Hashim. It is, however, from the family of Hashim that Allâh selected Prophet Muhammad bin ‘Abdullah bin ‘Abdul-Muttalib bin Hashim. Having increased in number, children of ‘Adnan, in pursuit of pastures and water, spread out over various parts of Arabia. The tribe of ‘Abdul Qais, together with some septs of Bakr bin Wa’il and Tamim, emigrated to Bahrain where they dwelt. Banu Hanifa bin Sa‘b bin Ali bin Bakr went to settle in Hijr, the capital of Yamama. All the tribes of Bakr bin Wa’il lived in an area of land which included Yamama, Bahrain, Saif Kazima, the seashore, the outer borders of Iraq, Ablah and Hait. Most of the tribe of Taghlib lived in the Euphrates area while some of them lived with Bakr. Banu Tamim lived in Basra semi-desert. Banu Saleem lived in the vicinity of Madinah on the land stretching from Wadi Al-Qura to Khaibar onwards to the eastern mountains to Harrah. Thaqif dwelt in Ta’if and Hawazin east of Makkah near Autas on the road from Makkah to Basra. Banu Asad lived on the land east of Taimâ’ and west of Kufa, while the family of Tai’ lived between Banu Asad and Taimâ’. They were five-day-walk far from Kufa. Zubyan inhabited the plot of and between Taimâ’ and Hawran. Some septs of Kinana lived in Tihama, while septs of Quraish dwelt in Makkah and its suburbs. Quraish remained completely disunited until Qusai bin Kilab managed to rally their ranks on honorable terms attaching major prominence to their status and importance. 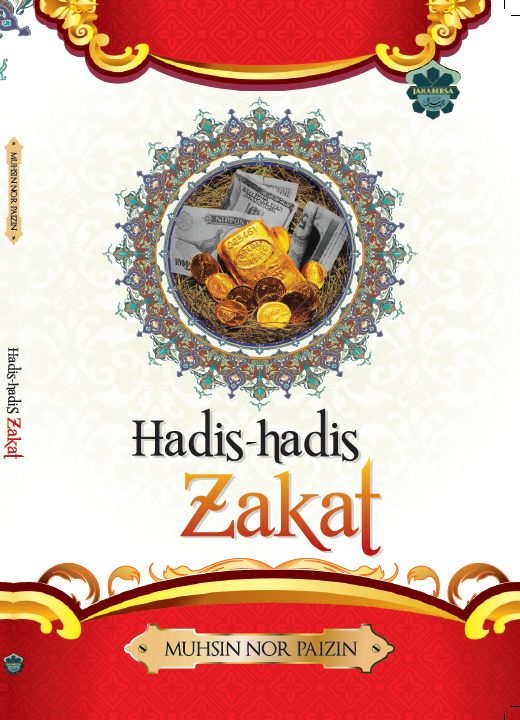 Is There Zakat Due on The Diamond? Being Thankful for Allah’s Sustenance and Avoiding Corruption.